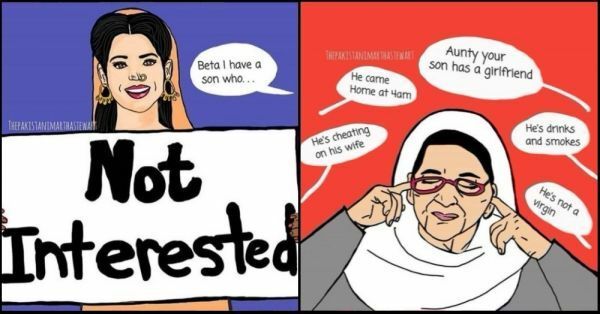 These Memes On Desi Girl Problems Will Make You Laugh Out Loud! 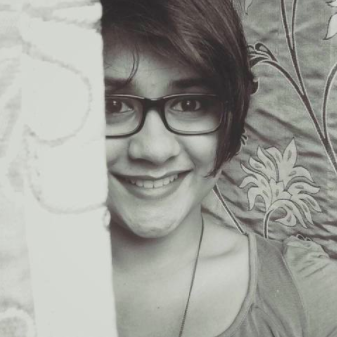 It was only a day ago that a distant relative of mine (whose existence was unknown to me until now) called me up, and after identifying herself with a few rudimentary 'hello, how are you' queries, launched into a detailed interrogation session on my future and when I was planning to 'settle down'. While this isn't uncommon in Indian society as a whole, I wondered how often is it that these aunties and uncles keep their hawk-eyes glued to young women and jump at the opportunity of approaching her with a rishta in tow, once she's legally allowed to get married. Echoing my thoughts, although, in a hilarious fashion, Saher is a Pakistani artist who illustrates the life and woes of desi women, especially when it comes to marriage, weddings, and the unnecessary social commentary that every woman has gone through, once in her life. Her Instagram profile, pakistanimarthastewart, is an absolute riot, and as a desi woman, you won't be able to help yourself from exclaiming 'OMG SO TRUE!' with every post you come across her feed! Take a look at some of our favourites below. 1. We aren't the ones getting married, silly, our families do too! 3. What are you doing with your life if you aren't whitening your skin?! You'd be surprised at the amount of individuals in the older generations who are oblivious to simple biological facts. It never ceases to amaze me how many people still firmly believe having sons is better than having daughters. Don't be fooled, this "son preference" is perpetuated by BOTH females and males in our community. From all SORTS OF socioeconomic backgrounds! Internalized misogyny is real and its far more deeply rooted than we think. Even in the picture perfect families who seem to embody or personify modern thinking! How to scare aunties this Halloween. 9. Does it look like I care? 10. Walk away...walk away right now! You know when they come ask you what's going on in your life just so they can compare you to their kid 😂I guarantee all of us at one point have pretended to have our attention elsewhere to save ourselves.